A friend sent me this link. Have a look at that video, it's unbelievable!! I really would like to hire him to begin our Apex Evangelists training days! 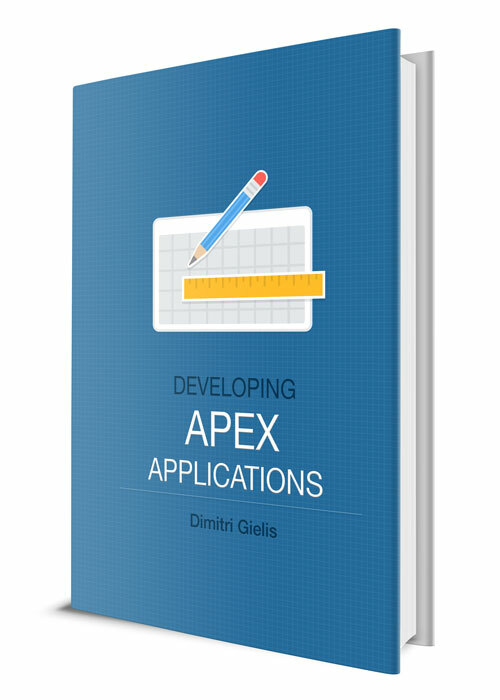 Last week, a new version of APEX came out. Probably a lot more articles will follow! 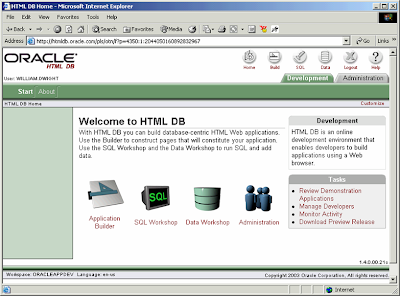 A few weeks ago I tried to run the sample Adobe Flex application on an Oracle Application Server (Fusion Middleware) and an Oracle Database. It's not that difficult to get it running. I got a hint of Marc M. which parameters I should use in the startup of my oc4j and from that moment it worked really nice. As you can see below, the upgrade to APEX 3.0 on my local instance was successful. It took me about 56 minutes to have the upgrade running. The first tests were successful... To get pdf printing working, a bit more is necessary, as BI Publisher or an XSL-FO server is necessary. You find the integration steps here. Thanks APEX-Dev team! This new version is great! APEX 3.0 out! Get it now! I'm downloading APEX 3.0 at this very moment! You find the download here, it's about 75MB. Also, the APEX OTN page is restyled! Now it's time to get it installed... I also saw that there's something specified about web 2.0. 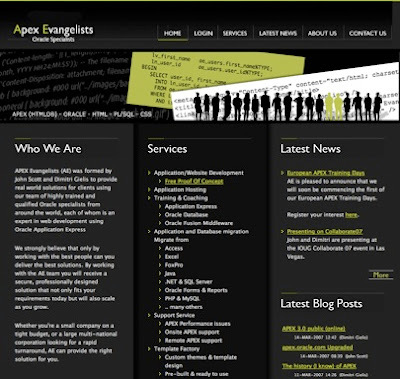 Today John Scott and myself are launching Apex Evangelists, we formed the idea for an Application Express services company during one of our many discussions at Oracle Openworld and over the last few months have honed our idea of what we are going to provide. Our primary goal is to be able to provide these services to the European market and to generally evangelise (hence the name!) about how beneficial using APEX can be to European companies. We also decided that in order to take on bigger projects than just two of us could handle and to also cover more of the European market we would also need to involve other great enthusiastic APEX developers, so we're pleased to announce that Dietmar Aust, Patrick Wolf, Denes Kubicek will be helping us in our quest. These are very exciting times and I'm sure that there are busy times ahead! Well, as expected... APEX 3.0 is already on the public APEX site. I'm sure the downloadable version will be available soon! A short overview of how I got in touch with APEX (aka HTMLDB aka Project Marvel). A few years later I saw a powerpoint presentation of "Project Marvel". From the beginning I thought, "waaaw" this looks very good and promissing. I think it was around February 2003 I got more information about this project. I even found a screenshot in my archives from that time. Raj, at that time one of the HTMLDB developers, answered me! The rest you know, as it was public: HTML DB v1.5 -> v1.6 -> v2 -> APEX. I also found a pdf describing the history. A lot of people still think that ApEx is just a replacement of Excel or Access. Still not convinced? Have a look at the below application... It's a free application that you can download on the OTN site. The roll-over menu when you click on readme.txt is very nice, as is all the rest in there. This is just one example of what ApEx can do. I'm currently looking into myself. I really want to know who I am and where I stand for. The more and better you know yourself, the more and better you can be there for others. 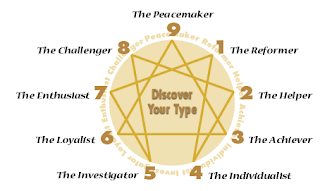 Thanks to somebody I really appreciate I got in touch with Enneagrams. This is a really nice theory about a person... It's nothing IT or Oracle related, but I thought to blog about it, as this can maybe help some others to find themselves. Not sure if this is "well-known" in the world of IT and Consulting. Just came across a paper called "Cursor Injection - A New Method for Exploiting PL/SQL Injection and Potential Defences" of David Litchfield. It shows once more that writing proper code is important, as is getting your database to the right patch level. Off topic: Carl Backstrom blogged about a music clip called "Code Monkey" here. You should see it, it's fantastic! Doing a whitepaper? Begin early enough! This will probably be my last night working on my whitepaper for Collaborate 07. I look forward to get a long night in the weekends! This night I was not alone! My friend John Scott was also working on his presentation ;-) When you know you're not alone doing these things that need to be done, it's a bit easier. We also triggered each other once and a while. Thanks John to keep me alive! It's my first whitepaper for a big event, so I thought I should blog about my experience doing that and also to warn the others not to make the same mistake. I started with the concept of what I wanted to tell: ApEx Shared Components, what can they do? and why and how I used them in DG Tournament. A manual is great, but it doesn't show you that specific thing working in a real environment, so I wanted to cover that area. Of course I love some screenshots, as an image says more then thousand words, so I made a lot of them and included it in the whitepaper. When I was writing things down, I thought: "Will this be interesting enough for the public? ", "Does all this get fit in an one hour presentation?" etc. So, I asked John Scott and Doug Gault to have a look at the very first draft of the paper. They sent me some comments and tips how to improve (thanks guys). That's something I learned from Tom Kyte, he told once that it's important to have good reviewers. I realize now I should have asked more people to read my whitepaper or let them reread the current version. Well, next time I'll try to do better and think about what happened this week. This is my advice so far, I wish I had followed all of that myself! If you're having some other tips for me, don't hesitate to put a comment. For the third night in a row I'm working on my whitepaper "APEX by Example: Shared Components" for the IOUG Collaborate 07 conference. I need to upload it tomorrow, so no time to loose! Nevertheless I wanted to blog about URL Tampering, which I was investigating when I came to "Session State Protection" in the Shared Components area of ApEx. Enabling Session State Protection can prevent hackers from tampering with the URLs within your application. URL tampering can adversely affect program logic, session state contents, and information privacy. My application is 103, on page 10 with session id 240848379705417 (my session has a unique nr) you see at the end: P10_USER_ID:70 which means that my record (Dimitri Gielis) is user_id 70. By putting this in the url, the session knows about this value. 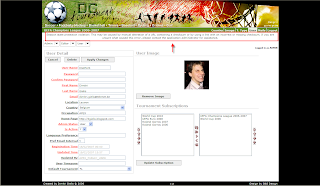 This will give me the record (user) with user_id 71, without passing through the application I can obtain other information. When “Session State Protection” is enabled you get a message like on the above screenshot, which tells you that the session state protection is violated. At the moment the Session State Protection is disabled. To enable, disable, or configure Session State Protection using a wizard, click Set Protection. Select the page you want to protect, in DG Tournament for ex. 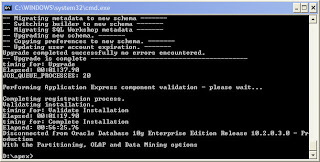 User Detail and change the Page Access Protection.You can also go onto Item level to set the protections. f?p=103:10:240848379705417::NO::P10_USER_ID:70&cs=3831E8EB498FF406064BE08337E72A9DF When you try to change the user_id from 70 to 71 you get a message that the session state protection is violated.